I regularly stock fruit cups and applesauce cups for the kids. These items are healthy, convenient snacks and meal sides. Recently, I saw a new item on the shelf in this section. This item is Dole Fruit Crisp. I was turned off by the amount of packaging the product required and the message it sent: “fruit crisp is difficult to prepare; therefore we’ll make it for you”. Once I tried the product and saw my child’s response, I understood the advantage. It’s easy, good and has nutritious ingredients. 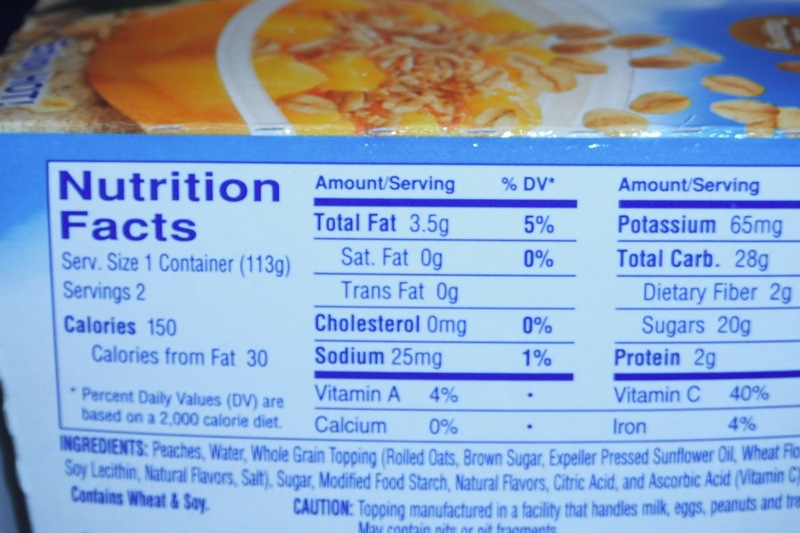 A great snack or breakfast to have on hand for a child. Basically, this is a fruit filling cup (thickened with starch) that can be heated and served with an oat topping (oats, brown sugar, sunflower oil, flour, spices, lecithin, flavor and salt). My older daughter proclaimed she does not like oatmeal and didn’t want to try it. My younger daughter thought it was delicious and gobbled it up. Besides the label, it’s obvious there are flavors in the fruit cup and topping. The aroma on the peach cup is deliciously fresh and juicy (not cooked or jammy) and there is slightly floral taste in the peaches that lingers too long. In contrast, the oatmeal topping has a sweet cinnamon flavor reminiscent of a Quaker chewy cinnamon raisin chewy granola bar. 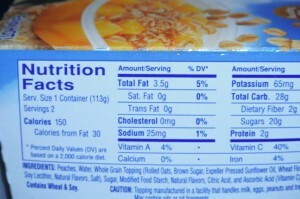 If I were to make my own crisp topping, I would use butter instead of sunflower oil. I feel crisp is better with the creamy cooked butter note. In general, I find the texture of the fruit cup appealing and the Peach fruit crisp satisfyingly sweet. Perfectly sweet for a picky toddler. 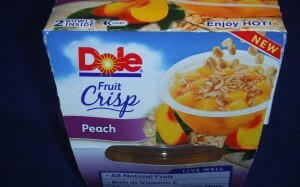 Dole fruit crisp is an admirable product that comes in at least three flavors: pineapple Mango, Peach, Apple Cinnamon. 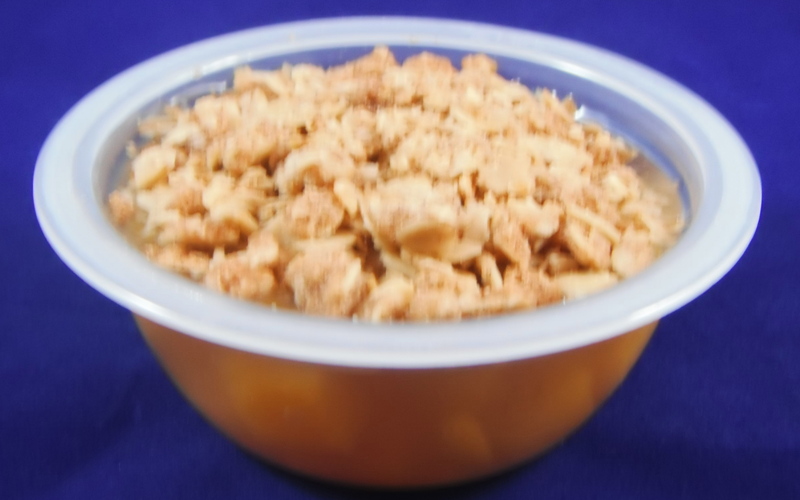 I look forward to trying the others and will continue to prepare homemade fruit crisp when apples & peaches are in season. 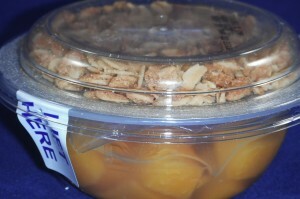 Local tree ripened produce is the best option for a good fruit crisp. Dole is the worlds largest grower, packer, processor and shipper of produce. 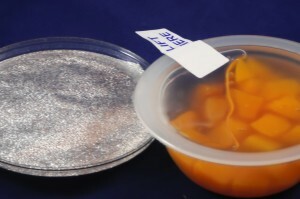 The peaches in this product came from Greece and the product was packed in Thailand. Thankfully, because Dole owns this product, I can trust that it is safe and wholesome.